“Unprecedented.” It’s a word that we’re hearing a lot these days to describe the current drought. And in some ways it is already a record-beater, so far back as we have records. 2013 was the state's driest calendar year on record. Recently, Governor Jerry Brown has started using the term "megadrought" to express the urgency of the current scarcity of water. 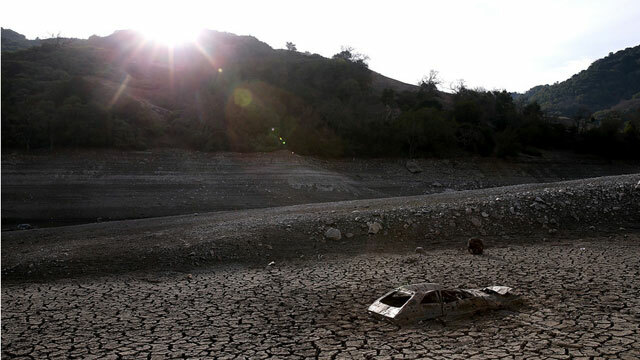 But to climate scientists, megadrought means something unlike any living Californian has seen. And if the evidence provided by nature is accurate, our three years of drought might be just the beginning. Three years is not a megadrought. "We see evidence that on a pretty regular basis, we had droughts over a decade long," says Lynn Ingram, a paleoclimatologist at the University of California, Berkeley. Ingram has co-authored an ominous-sounding book, The West Without Water, which chronicles her search for clues to the future, from the distant past. So how regular were these marathon dry spells? "Maybe every 50 to 90 years," Ingram says. "And then if you go back, maybe during the medieval [warm] period, between 900 and 1400 AD, there were a couple of droughts that were over a century long." Now, that's a megadrought. It doesn't mean that it didn't rain for 100 years, just like the current drought doesn't mean that it hasn't rained in three years. But it does mean 100 years of abnormally low levels of precipitation. What we think of as normal, isn't. If you take the really long view, the last century was unusually damp. 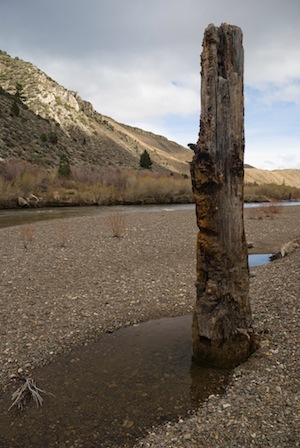 "When you look back over the last 1-or-2,000 years, you can see that that stood out as being a wet century," Ingram says, adding that the average over the last couple of thousand years might've been 15 percent drier than the 20th century. And that’s precisely when most development happened in California. In the 20th century, California's population grew more than twenty-fold and farmers planted millions of acres of irrigated farmland. The planning and building of California’s vast plumbing system of dams and canals was based on the climate that engineers thought we had. Ingram and her fellow paleoclimatologists glean their information from a variety of clues. They study tree rings that show by their thickness how much water was available for growth in each year. There are also clues buried deep in the sediments of lake beds and marshes, like the one in Benicia where Ingram's co-author, Frances Malamud-Roam, took core samples to see what sort of plant life prevailed hundreds or thousands of years ago. 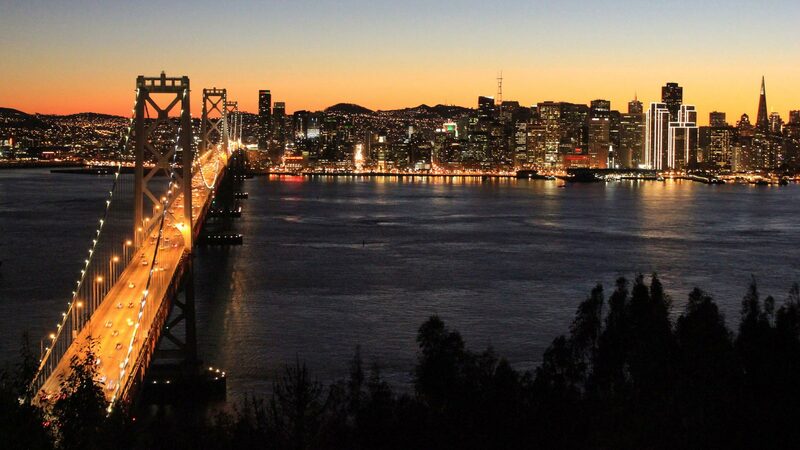 Ingram studied sediment cores from San Francisco Bay, which reveal that the Bay got saltier for hundreds of years at a time. That suggests a lack of freshwater runoff from the mountains, which, in turn, suggests a lack of rain and snow. Megadroughts -- some that dragged on for decades -- were actually pretty common in California's past. What's not so common is a single so-called rainy season as dry as the one we're having right now. "If it continues the way it is, it could be one of the driest years in the past 500 years," says Ingram. Since 1580, to be more precise. That's the year that Sir Francis Drake returned to Plymouth, England after circumnavigating the globe. And Captain John Smith? Legendary leader of the Jamestown Colony? Charmed Pocahontas? Mapped the Chesapeake Bay? He was barely conceived. Ingram says we haven’t had a single year that dry, since. "That's from the tree ring record, including the giant sequoia tree ring records that showed either no growth, so you literally had no growth that year, or an extremely narrow ring, in 1580," Ingram adds, with surprising equanimity. "This year is sort of on track for potentially being that dry." "On track" doesn't mean it will happen but even the recent substantial rains are a drop in the bucket toward ending the drought. In California, warmer has generally meant drier. The changing climate doesn't bode well for abundant water in our future. This year's visitation from the polar vortex notwithstanding, the long-term trend is that the planet is warming. And these same physical records from long ago reveal that when it got warmer, it got drier. "What we've seen in the past records during the warm periods, like in the Medieval Warm Period—and if we go further back in time to the Middle Holocene climate optimum, which was about 5,000 years ago—it was drier," Ingram observes. "So we see this very strong correlation." But whether California is trending toward a new normal that's consistently drier, is something we just have to wait and see. It turns out that science, as it stands today, has a much better lens for looking backward, than forward.